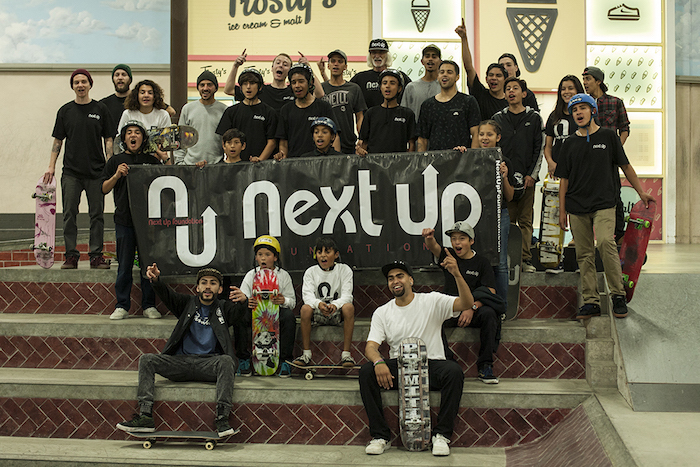 On August 11, 2016, Next Up Foundation will be introducing our expanded skateboard mentoring program to new friends and guests from the surrounding community. The auction event at the Anaheim Packing House brings an evening of music, food and drink, and the opportunity to meet our founder and some of our participants. Proceeds from bids on a variety of great auction items will help us implement the new after-school workshop and tutoring program to take place in our new building next to the Broadway skate park. We’d love to meet you and share information about the important work we are doing with at-risk young people.